Wirksworth Swimming Pool was recently nominated for an award at the inaugural Foundation Derbyshire Award Ceremony. Out of 250 plus groups awarded funding through Foundation Derbyshire, over the last year, just 12 local community organisations were put forward for awards, Wirksworth Swimming Pool being one of the 12, thanks to a nomination by The Michael and Annie Hall fund panel. 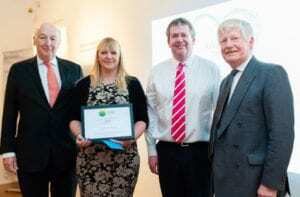 From the shortlist of 12 groups, six were selected to win full awards, at a ceremony which took place on Thursday 5th February 2015 at Derby Museum & Art Gallery. Sadly Wirksworth Pool didn’t make the final six, but we are grateful to the panel for their support and recognition of our work. As a nominated group, the short film above, by John Felix, was made to showcase our charity.